SALE!! 10% OFF STOREWIDE + FREE US SHIPPING OVER $49 !! 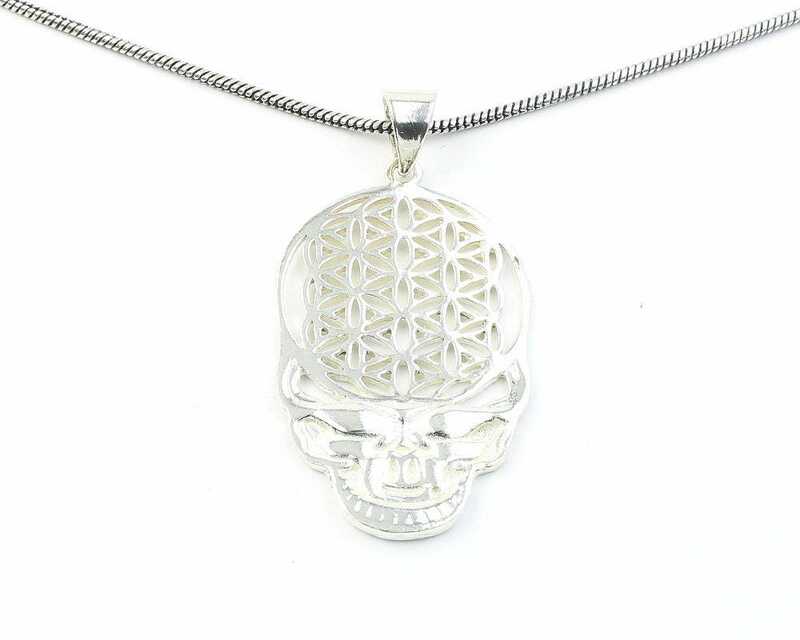 Grateful Dead skull with intricate flower of life pattern. 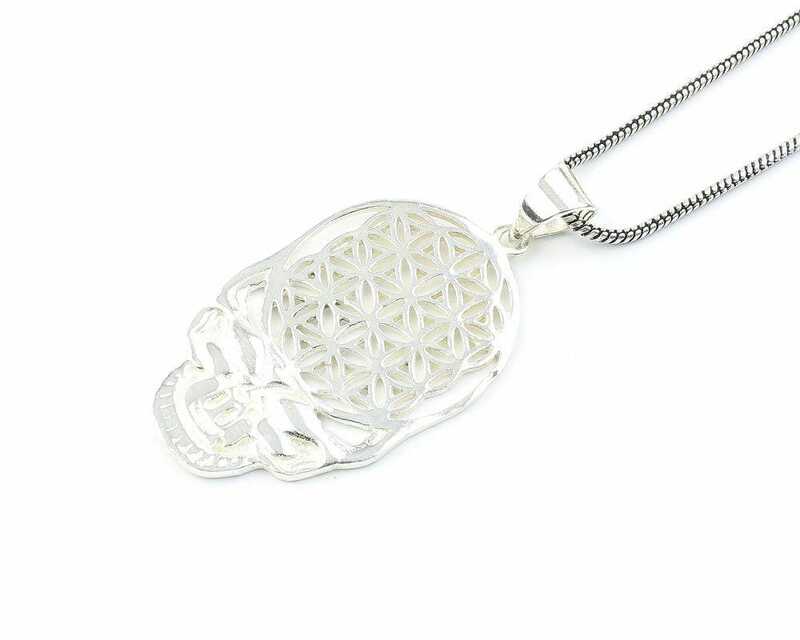 The Flower of Life is a symbol of sacred geometry, an ancient science that explores the energy patterns that create and unify all creation. Hangs on snake chain with hook closure. Choice of chain length. 20 or 24 inch. 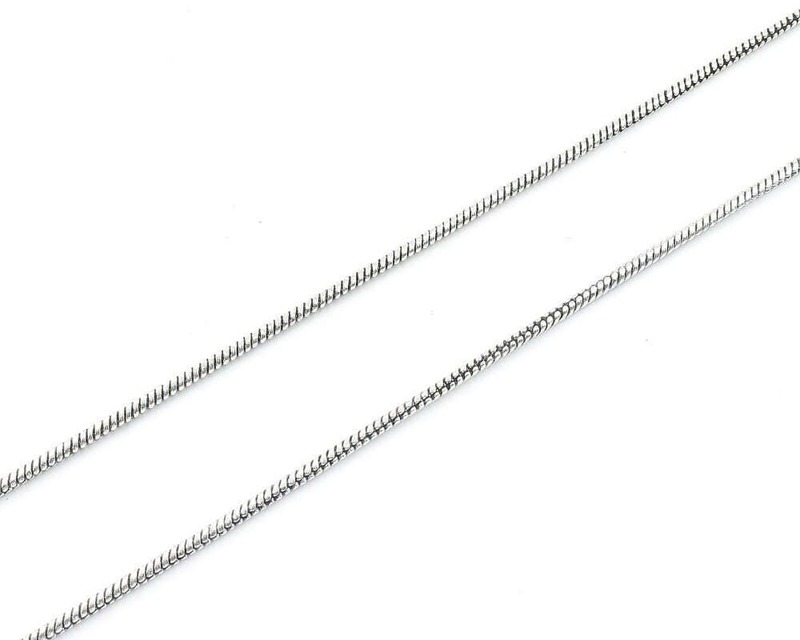 Pendant Length (with hook): 2"
We accept all credit cards and for your convenience we do accept PayPal as well. >After placing your order you will receive an order confirmation E-mail with your order details. >Once your order is on its way you will receive a shipping confirmation E-mail which will include the tracking Information. For expedite shipping (domestic orders only, not valid for international orders) you can choose Priority shipping at checkout (additional fee will apply). Please note that our processing time is the same for both First Class and Priority shipping and that the actual shipping time will be faster with priority service. >Please Allow 1-5 business days for order processing. >Once your order is shipped, it can take 2-5 business days to arrive (depending on where in the country you are located and the upon shipping method you chose). >For International Shipping (outside of the US, including Alaska, Hawaii and Puerto Rico) - delivery time can vary depending on your country. International buyers will be responsible for any customs/taxes that may incur. >If you are not completely satisfied with your purchase, it may be returned within 30 days of the order delivery date for a full refund, exchange or a store credit-no questions asked. NO returns/exchange on body jewelry. >All refunds will be credited for the original amount paid, less shipping fees, except in the case of a defective item or incorrect shipment. >Please allow 2-5 business days for the refund to appear in your account. >Customers will be responsible for shipping and handling charges to return any unwanted items. Awesome,came fast and is just as described.Would buy again from seller.